Language Systems Lifestyle! : Discover L.A.
California is not only an amazing locale for weather. California, and especially the Los Angeles area, has a lot of beautiful places to enjoy your time. If you like the city life, Los Angeles is one of the biggest and with more variety of shows and museums. It’s actually the second biggest city in the USA after New York, and the majority of the movie stars who usually work in Hollywood live here too. You can visit Universal Studios or a lot of places in the city, which surely you have seen in movies, advertisement or music video clips. 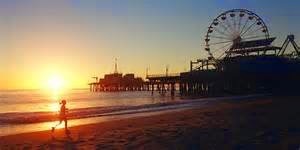 Santa Monica, which is merely a 30 minute drive from Downtown L.A., is one of the most famous beaches in the world. The image of the Ferris wheel and the rollercoaster on the pier is very famous and it is really cool to enjoy with the attractions that we have always watched on TV. It is not too expensive and surprisingly it is not too crowded. 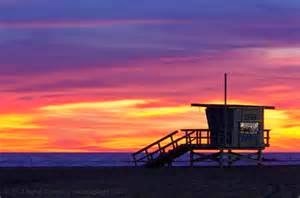 Close to Santa Monica you have Venice Beach, Manhattan Beach, Hermosa Beach and Redondo Beach, all of which are excellent places to spend your time walking on the beach or enjoying the relaxing life of their streets and restaurants. This is only LA, but California has thousands of amazing places to enjoy.